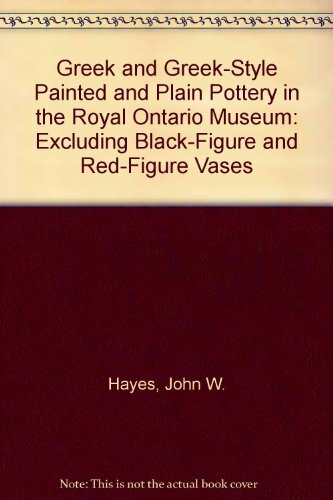 While Black-Figure and Red-Figure vases appear in the CVA volumes, this catalogue presents 326 examples of other Greek painted traditions, ranging from the Aegean Bronze Age to the 1st century BC. The types range from regular shapes (hydria, kraters, aryballoi and so on) to some truly weird vases in the shapes of legs and helmeted heads. Extensive descriptions and crisp photos.